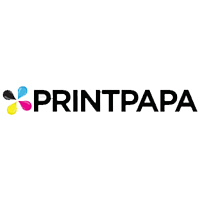 That about sums up PrintPapa. Your number one source for Short Run Printing(from 10 to 10000). High quality work, low minimums and fast turnarounds are what we do best. Everything your business needs like brochures, flyers, business cards, vinyl banners, window clings, posters, signage, presentation folders, booklets and more.